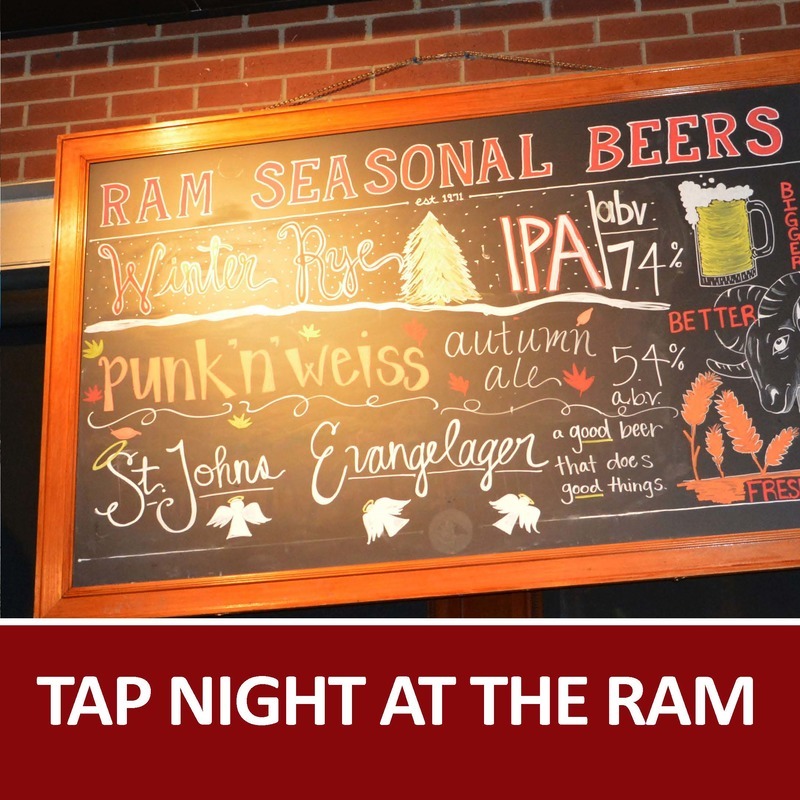 Tap Night at the RAM & Christkindl Village Beer Naming! Help us name this year's Christkindl Village Beer!!! Three years ago we named our first ever Christkindl Village Beer Sankt Johannes Brau - meaning St. John's Brew in German. This year we will again be naming the beer with a beer naming contest. Our neighbor, the Ram Restaurant, is brewing an authentic beer especially for the festival on December 14-16. It will be a Red Lager with German Malt and Augustiner Lager Yeast. The beer will be featured in the beer and wine garden at the Christkindl Village along with being available through Christmas at the RAM. Vote Below for your favorite Beer Name! Voting for the beer name has closed. Join us for Tap Night to find out the new name of the Christkinldl Village Beer! What is Tap Night? How can I taste the new beer? Where did Christmas Trivia go? This year we have decided to move Christmas Trivia from Tap Night to during the Christkindl Village. Join in on Saturday, December 15 at 8pm for Christmas Trivia at the Christkindl Village inside the Pan Am Ice Rink. All are welcome!